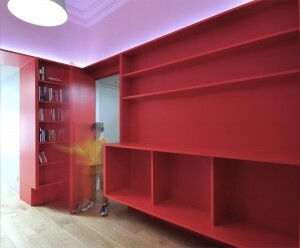 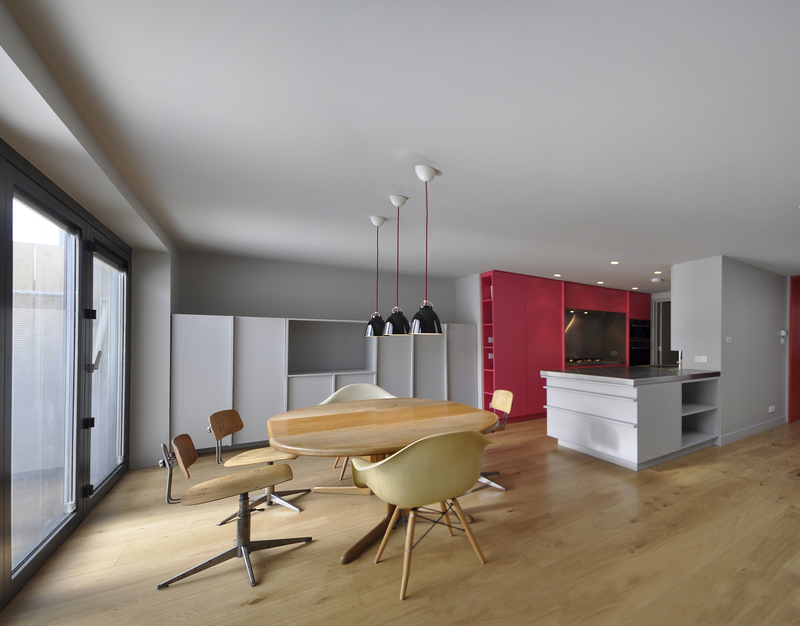 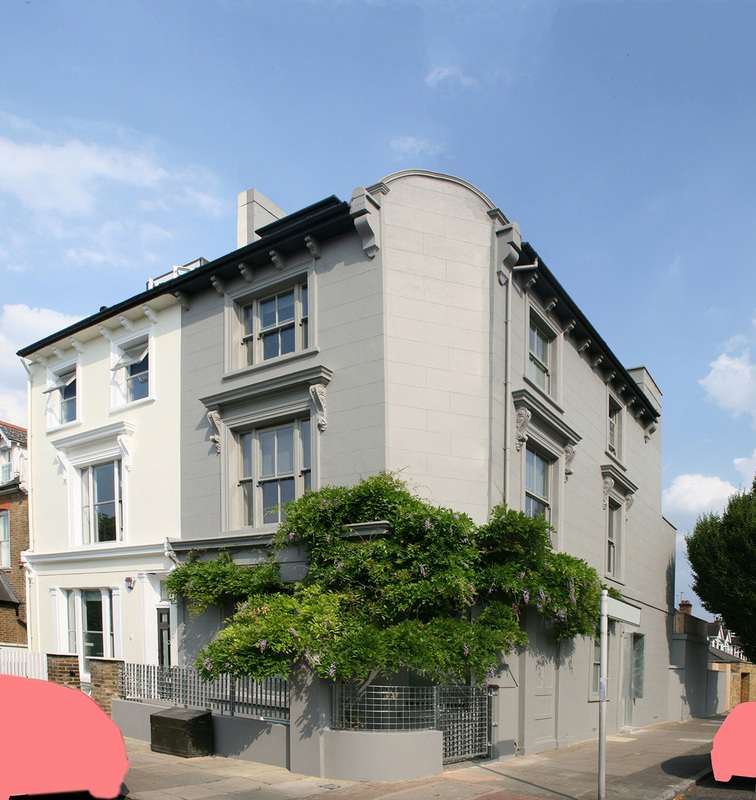 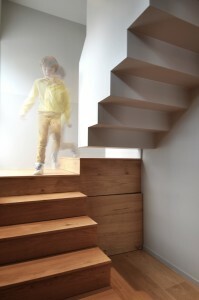 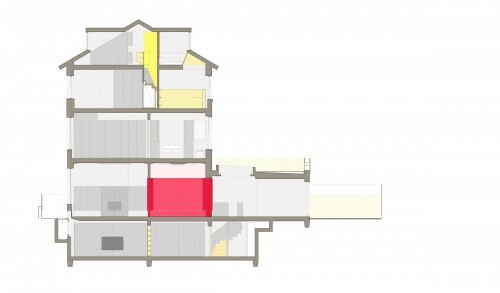 An exisiting building was refurbished and transformed into a suitable dwelling for a young family in West London. The whole house was given a monochrome grey colour scheme against which defined coloured spaces and plywood interventions were set to define and structure the private and public zones. 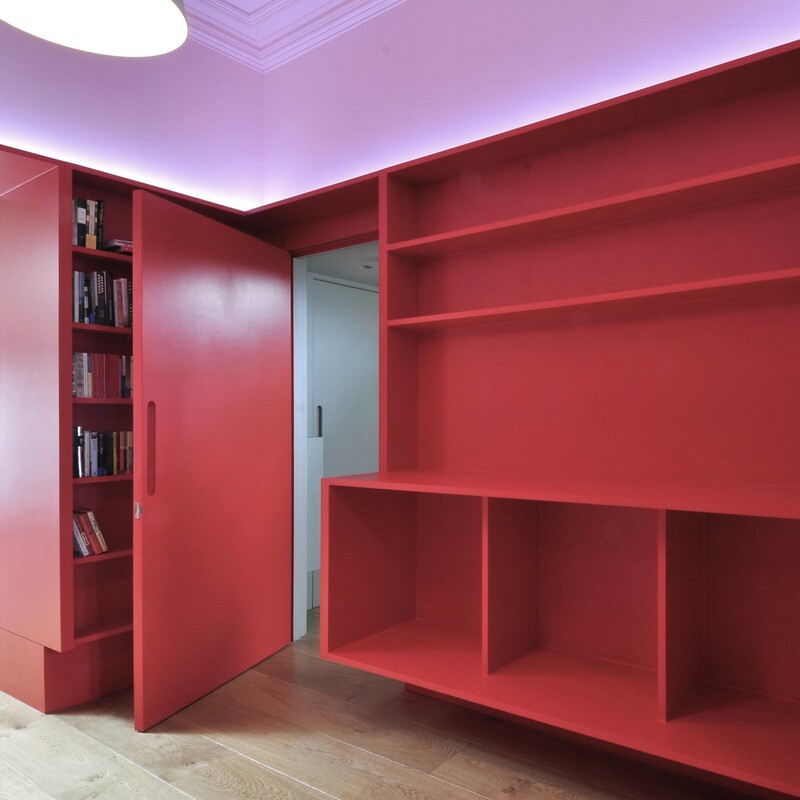 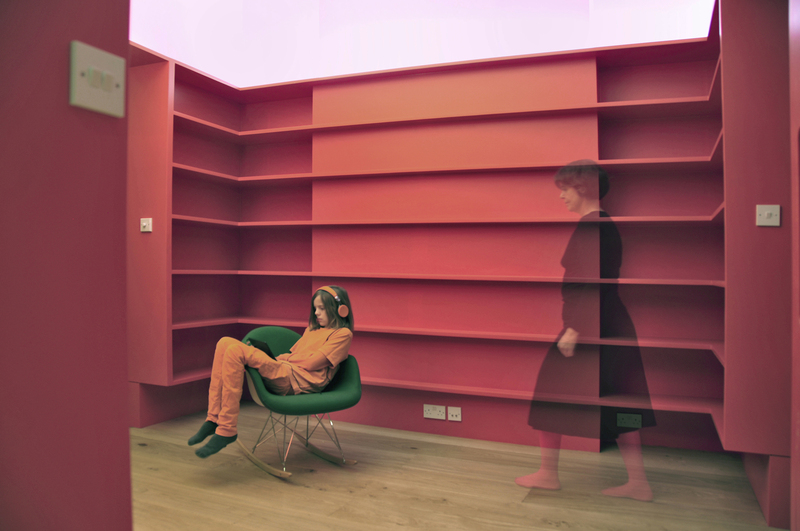 At the heart of the building is the red library with specifically designed shelves for the owner’s collection of old records and art folios. Most of the living spaces are un-determined, they can be used and furnished for a variety of tasks and functions. 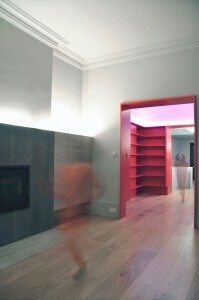 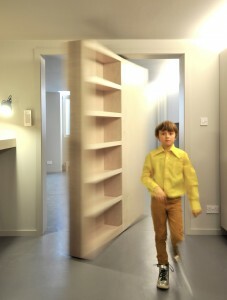 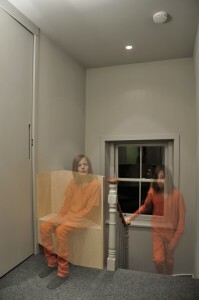 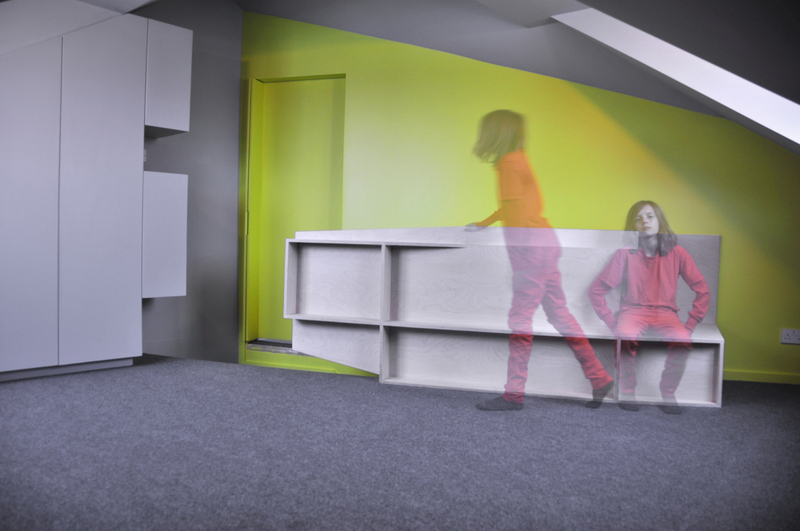 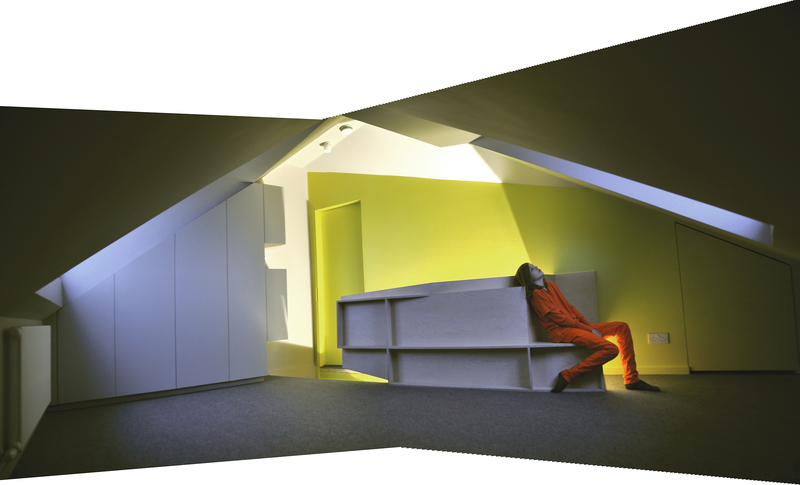 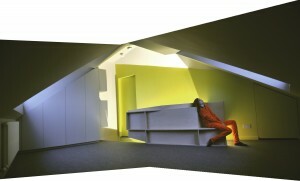 The basement is dominated by a rotating shelf unit – hiding behind it the cinema room.